I enjoy flight training, whether as a CFI for over 35 years or as a student. I always learn from the experiences, and believe we can always improve our piloting skills. After obtaining 5 jet ratings, I thought what the heck, time to add another one. My Aero Vodochody L-29 and L-39 (AV-L29, AV-L39) ratings are defined as Experimental Authorizations by the FAA, a term used for large vintage and experimental turbine aircraft which require special checkrides and approvals. The EA-500S (Eclipse 500), CE-500 (Cessna Citation 500 series) and CE-510S (Cessna Mustang Single Pilot) are type ratings, required for certified large piston (> 12,500 lbs) and all turbojet aircraft. In many countries outside of the U.S. a type rating is even required for smaller piston-powered aircraft such as the Piper Malibu series (PA-46) . Adding the Cessna Citation 525 series of jets to my license seemed like a great idea. The Citation 525 (CE-525) includes: Citation Jet, CJ1, CJ1+, CJ2, CJ2+, CJ3, CJ4, and the newest 525 – the M2. The ‘+’ indicates the CJ1 or CJ2 model incorporates FADEC – Full Authority Digital Engine Control, which is included standard in the CJ3, CJ4, and the M2. A type rating can be obtained under FAA Part 61 or Part 142. Part 61 generally involves flight training and checkride in the aircraft. 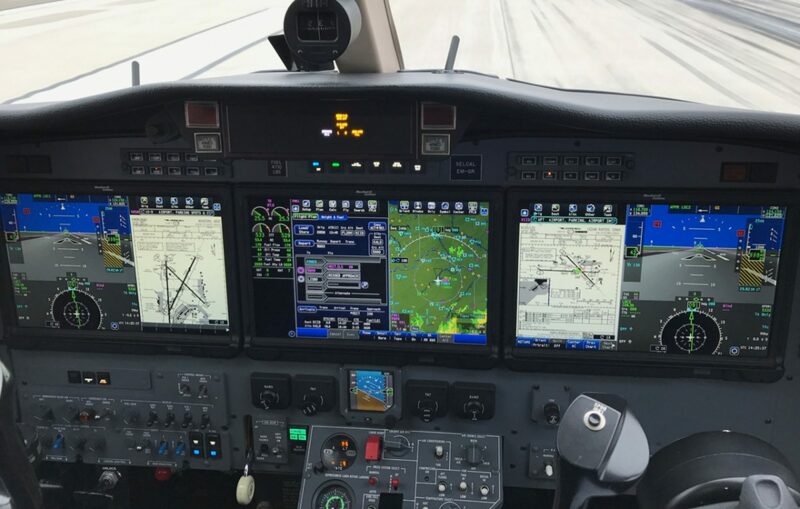 Part 142 approved programs use full motion simulators (Level C and D) which are so capable, you can log time and take your checkride in the devices, just as if you were flying the airplane. My goal was to obtain the Single Pilot type rating – CE-525S. In previous type ratings, I’ve obtained 4 (L29, L39, CE-500, CE-510S) under Part 61 and 1(EA-500S) utilizing a Part 142 course. For the CE-525S I chose Part 142, and researched a variety of offerings from Flight Safety and CAE Simuflite to newer entrants in the market. 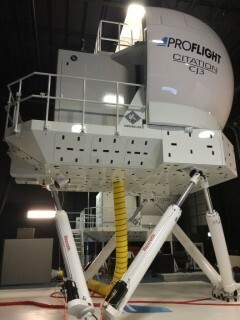 Visiting Proflight, I was impressed by their training methods, and curriculum. Proflight has been doing Cessna Conquest training for many years, and their new jet program focuses on the CE-525 series with a CJ3 Sim, which was also a bonus for me. It was clearly ahead more traditional schools, using the latest Learning Management Systems (LMS) and an extremely high fidelity Level D CJ3 simulator. Officially the course is 17 days, with two Sundays off. In actuality, you start the learning process before even setting foot in the classroom the first day. I started studying at least 2 weeks before, using information provided by Proflight and other resources. Proflight does an excellent job by offering an online LMS that takes the student through 16 modules, from pre-flight inspection to detailed systems in pneumatics, power plant, hydraulics and more. Along the way you answer nearly 200 questions on quizzes to check your knowledge uptake! The proverbial firehose of information was aimed directly at me, and while intense, it was a blast. For those pilots who were attending a jet course for their first type rating, the FAA would only allow the issuance of a crew rating (CE-525) if the checkride is done in the simulator. The only way to bypass this limitation is for them to do the checkride in the actual aircraft. Since I have a few others, my checkride in the sim would be for a Single Pilot rating (CE-525S). Every day we had at least 4 hours of presentations, either new material or review of what we had learned earlier in the LMS. Building upon our previous completion of the LMS, Chris Clevering was our primary instructor. Chris’ systems knowledge is encyclopedic, and practical, so it was extremely thorough and the time passed quickly. Proflight uses a guided instruction method, utilizing high quality animations which we could then activate under normal or abnormal operations. My review with Dave Love the second week helped to cement the knowledge in conjunction with our simulator sessions. Proflight takes extensive advantage of their non-motion Flight Training Devices (FTD) for the ground training. 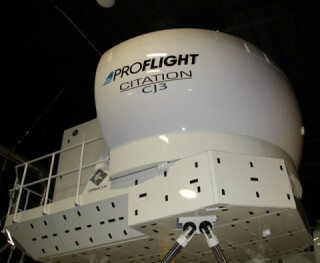 Proflight utilizes a very powerful Next Gen CJ3 trainer as well as a fixed Level 6 CJ3 simulator, all of which are built by Opinicus. For the first 7 days we ‘flew’ the FTDs. For 3-4 hours each day my training partner and I would brief, then fly scenarios that included full checklist reviews as well as all aspects of flight. The Next Generation trainer is a FTD that uses high resolution screens to represent the cockpit instrumental panel, and actual throttles and FMS (Flight Management System) keyboards. The visuals, while not the same as the Level 6 or Level D, are outstanding. The Level 6 FTD is a non-motion version of the Level D simulator, with a full cockpit replication. The wrap around visuals provide a totally immersive experience. Just to keep us on our toes, every session included numerous emergencies ranging from aborted takeoffs, engine fires, hydraulic failures, explosive decompression, to icing and wind shear. Our instructors would incorporate these events just when we thought it was time to relax! While these were non-motion devices, you forgot that aspect when confronted with failed engines, ice induced stalls, and no-flap landings. These were excellent experiences to prepare for the full-motion simulators. Frequently I would stay after the class for a few more hours to use the FTDs. It was great being able to easily repeat certain aspects of training. After one of the classes I was flying our Cirrus SR22 from Montgomery (MYF) to Los Angeles (LAX) to pick up a friend, I used the FTD to pre-fly the route just to get familiar again with the procedures. On day 9, my instructor Tom Wood and I headed for the first official motion sim flight in the Level D CJ3 simulator. The beauty of using the other Proflight FTDs, is that they all use the same control software so the transition was easy. We had practiced many of the same operations before entering the Level D, so it made the transition much easier than using more traditional methods. For the next 6 days, either Tom Wood or Dave Love would serve as my instructors, subjecting me to a wide variety of scenarios with an assortment of emergencies. One of the new FAA training requirements is a stall on the auto pilot while above FL410. The aerodynamics at high altitude are substantially different than lower and it takes more altitude to recover. The aircraft was more sensitive to control inputs and to a secondary stallI and I was able to recover with an altitude loss of 500 feet. Each session would build on the experience of the earlier ones. After each 3 hour sim session, we would analyze our flight then head to the classroom for a few hours of systems review. The days were long, however it was a blast! It was now time for the type rating oral exam and checkride, which reminded me of my graduate school thesis defense, except a lot more fun! Early at 7 a.m. on day 17, I met my Designated Pilot Examiner (DPE) Russ Defrancesco for the ground portion of my test. Russ did a great job explaining the process and putting me at ease. As the FAA evaluator, he is not there to conduct any instruction but rather to assess my potential ability to operate as PIC of a 14,000 pound jet airplane using ATP standards. The oral exam is just not a recital of the limitations (over 120) and abnormal checklist memory items (20), but scenario-based questions that thoroughly probed my knowledge of systems and the inter relationships. For example: If the bleed air overheat annunciator illuminates, what might be the issue, how does the bleed air system operate, and how do you respond to the issue in flight? The bleed air is hot air that is extracted from the high-pressure compressor to operate various systems. The highest temperature air is used by engine anti-ice, then cooled some for the wing and windshield anti-ice, then cooled further for pressurization (normal and emergency), pneumatic controllers, rudder bias, and tail deice boots. It initially leaves the engine at nearly 1000oF, then passes through heat exchanges/coolers that lower the temperature for the other systems. It the annunciator illuminates it indicates the bleed air at one of the controllers is > 560oF. This may be caused by either a controller issue, bleed air leak, or high demand. Using the Emergency/Abnormal Checklist, tells the pilot to reduce the affected throttle, if practical. After 2 1/2 hours of similar questions and scenarios, it was time for the practical test in the CJ3 simulator. With few exceptions, the practical maneuvers would be in IFR conditions. Russ would act as ATC during the flight, directing me to the next procedure and of course invoking all sorts of emergencies along the way! After a low visibility taxi (1/4 sm in fog) on 18R at Memphis (MEM) I was cleared for take-off. After moving the throttles to full takeoff thrust, the airplane accelerated through 70 KIAS, then WHAM! I had lost an engine. I completed the Rejected Takeoff (RTO) by retarding throttles, full braking, and speed brakes – then was electronically repositioned by Russ for another takeoff. This one went smoothly, and I climbed to 10,000 MSL to start the air work. After steep turns, unusual attitude recoveries, and a high altitude clean stall it was a rapid descent at 4,000 FPM to 2,500 MSL to complete the stall series. A great warm-up for what would follow. The first landing was the easy one, an ILS 27 with a circle to 18R, all of course at minimums. Cleared for my next takeoff, I accelerated, confirmed the instruments, at 97 KIAS announced V1 (decision speed) and then WHAM! I had lost the right engine and had to continue the takeoff, rotating at Vr – 100 KIAS. With 2780 lbs of asymmetric thrust at takeoff it takes full rudder to keep the plane going straight. After gear up, I confirmed I was climbing at V2 – 110 KIAS, then continued the climb to a safe altitude (1500 AGL) and accelerated to V2+10 before retracting flaps. After telling ATC I had lost an engine, and following the checklist, I asked for a vector back to MEM. ATC obliged with a ILS 27, however the weather was worsening and might be below minimums shortly. With only one engine you increase the Vref by 10 knots for the final approach. For our weight, the new Vref would be 113 KIAS. After configuring the plane, the approach was perfect — except for the weather. At minimums, I had to execute a missed approach and it was full rudder again! Of course, the missed approach had to include a hold, with a single engine operating. While in holding ATC notified me that perhaps my failed engine was okay, and try a re-start. Remarkably it worked! For two more hours, I encountered an engine fire, failed PFD, failed Auto Pilot (twice), wind shear, hydraulic failure, brake failure, gear extension failure, missed approaches, and finally we ended with a no-flap landing. After completing some paperwork, with a fresh CE-525S type rating it hand, it felt good to have completed such a rigorous training program. 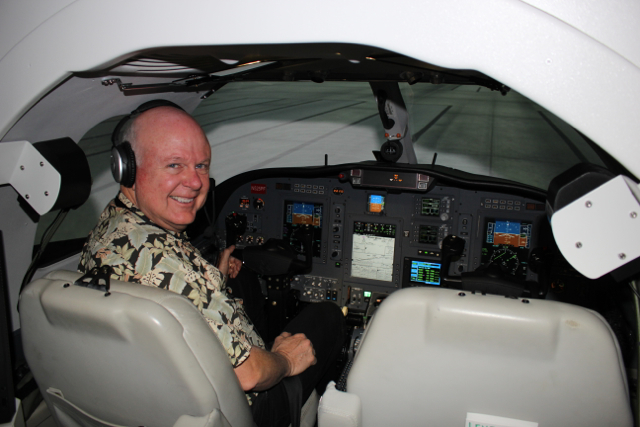 The folks at Proflight did an excellent job, not just training for the type rating, but using practical flight scenarios that will be useful when flying the Citation. Hopefully I won’t encounter as many emergencies in the real aircraft! As pilots we know that we should always be training, and turbine aircraft are no exception. One of the reasons that there are fewer accidents in turbines, especially jets, is the rigorous requirements for both the initial rating and recurrent training. In order to act as PIC of a jet after obtaining the type rating you must have had a valid proficiency check (FAR 61.58). The 61.58 check must be completed in that make and model every 12 months, unless you fly multiple jets, in which case you can alternate between 2 of them every 24 months. Even if you don’t fly turbines, you still need to manage the risk of flying. It is important to participate in frequent training, not just to keep current under the minimum FAA requirements, but also to take scenario-based instruction and practice a variety of emergencies. Having flown over 8500 hours, and visited 700 airports, and encountered several in-flight emergencies I know first hand that you simply can’t train for everything, however preparing for the inevitable is valuable. 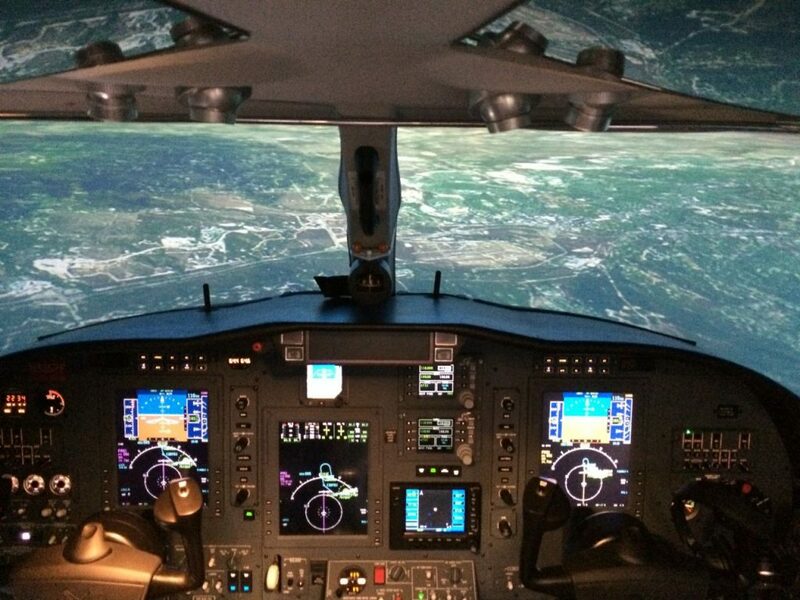 In 2014 True Simulation + Training, a Textron company, acquired ProFlight. 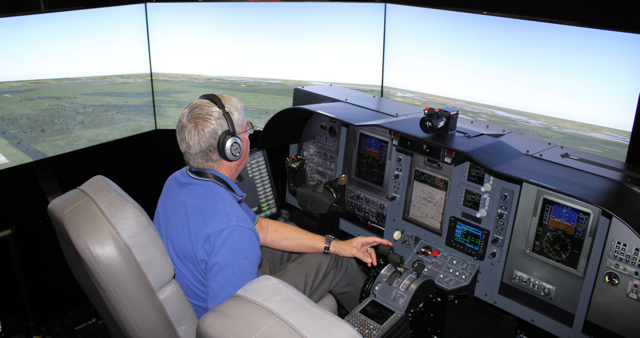 Textron which also owns Cessna and Hawker Beechcraft expects to offer additional training opportunities through ProFlight and their simulator acquisitions, Opinicus (who makes the ProFlight sims) and Mechtronix. Rich’s love for teaching is almost equaled to his love of flight. He makes flying fun, personable and pertinent for his students’ skill, aptitude and comfort levels. Safety is top priority for every student’s flight instruction and is also custom tailored to save time and money.